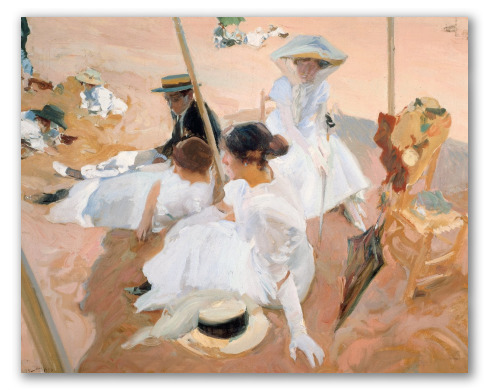 "Under The Awning" by Sorolla, Spanish Impressionist Painting. 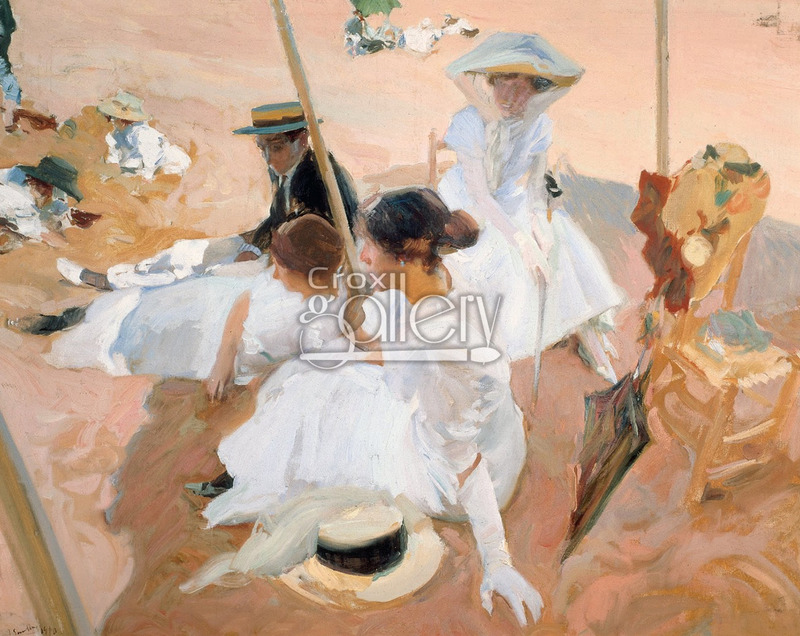 Under the Awing is a painting displaying women dressed in white, looking out at the sea from under an awning at Zarautz beach in the Basque Country, Spain. Painted by Joaquín Sorolla y Bastida.